Travellers have moved back onto playing fields – despite a barrier being put in place to try to keep them out. Five caravans moved onto the car park at Windsor Avenue playing fields in Penn, Wolverhampton, on Monday night, with three more following yesterday – bringing a fresh nightmare for residents living nearby. It is believed enforcement officers are on site today working to move on the group. 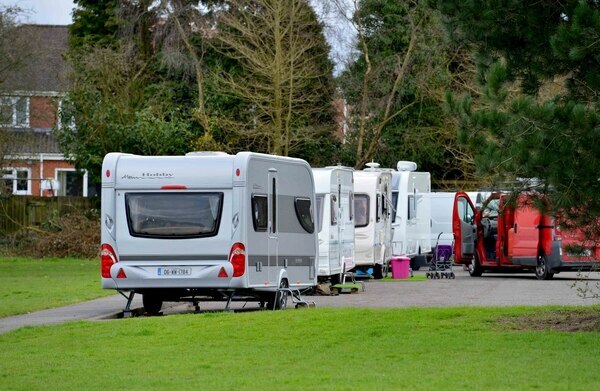 The arrival of around 30 caravans on the fields in January prompted large-scale calls for action to protect parks and fields in the area. It is the third time travellers have targeted the land in a matter of months. A metal post was put up at one of the entrances to the fields following the last incursion while more measures are planned - but that has not stopped travellers being able to access the fields. 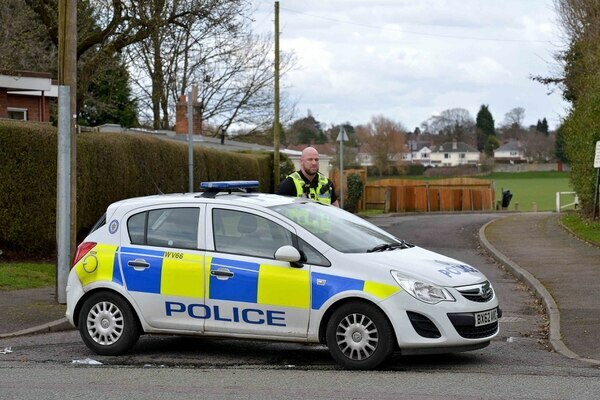 Police were at the site yesterday, with a patrol car blocking the entrance to stop any more caravans from getting on. Wolverhampton council faced criticism over the speed in which the visitors were moved on in January. It was more than a week before the group was finally forced to leave. Bosses have said they are considering introducing tougher powers to ensure travellers are moved on more quickly. The council said yesterday it was working to have the group moved on ‘as soon as possible’. 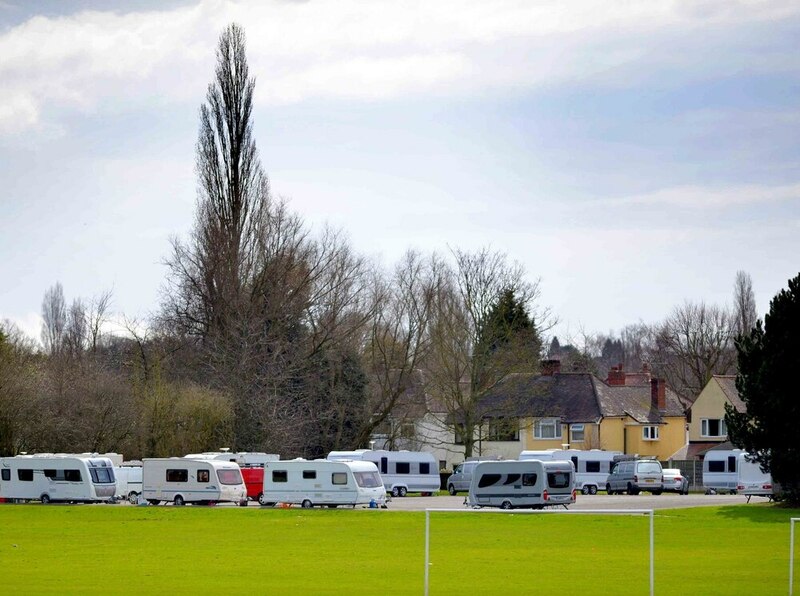 City councillors are investigating the possibility of launching a holding site for travellers, following similar action by neighbouring councils in Walsall and Sandwell, which would provide greater powers to shift travellers immediately. Penn councillor Paul Singh, an opposition Conservative, called for decisive action to ensure travellers are kept off the site. He said: “It’s disappointing. This is the third intrusion there in the space of a few months and the people of Penn are being let down. “The cost has got to be £50,000 just in clean-up alone. The council can find money to clean up the mess but can’t find the money to secure the park. “I know the council are working on a city-wide injunction but this shouldn’t keep happening. “People are being let down time and time again and residents won’t be able to use that park. It is so distressing for residents. “The council has got to be a bit more rapid. I would like to see proper security,” he said. Neighbours complained about nuisance and fires on the site while the travellers were on the land in January and the mess left behind once they were moved on, including bricks, plastic and parts of a sofa. A petition for a barrier at Windsor Avenue, designed to stop caravans from being able to access the fields, was signed by more than 300 people. New security measures were installed following the complaints and extra barriers were due to be added this month to improve security further. Leaders in Wolverhampton said they understood the frustrations over unwanted encampments and are working on a solution. Bosses in Sandwell have been able to move travellers on within hours after arming themselves with new powers, leading to claims of a postcode lottery on travellers. Leaders in Dudley have also moved to step up action against travellers, with a controversial holding site to be built in Coseley. Any groups who arrive in the borough will be offered a place at the site, where they can legally stay for a fee, or will be ordered to leave. The move also provides powers to move those who refuse to budge within hours. It was revealed last week that camps in Dudley has risen by a staggering 250 per cent over the past five years.